Nearly Two Decades Helping Start-ups & Small Businesses Succeed. I've spent the majority of my career helping start-ups and small businesses quickly turn their ideas into successful software products. By working closely with company leadership in a fast-paced environment for so long, I have developed a keen ability to understand both the technical and business requirements and quickly deliver a scalable solution that addresses both. I cut my teeth working as a software engineer for local development shops interfacing directly with clients to understand their problems and craft solutions that fit within their timeline and budget. In 2007 with my wife out on maternity leave expecting our second child, I set out on my own as an independent IT consultant. Leading a small team of developers, I worked with both small local companies and large national advertising agencies to develop custom CMS systems, e-commerce solutions, inventory management systems, online games for advertising, in-house email marketing systems and various data tools. 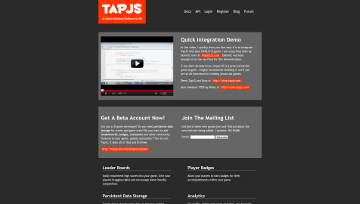 During this time, I also developed the first HTML5 gaming platform called TapJS that provided hosting, leaderboards, badges and social integration for the then nascent HTML5 game development scene. In 2011, TapJS was acquired by appMobi as a way to enhance its mobile development feature set by adding TapJS's engagement features, like player challenges and leader boards and also allow developers to integrate social elements to their games using the appMobi platform. As part of the acquisition, I joined the appMobi team to head up game development and gamification for mobile applications and I continued in that role until 2013 when appMobi was acquired by Intel. Following the sale of appMobi to Intel, I was asked by the former appMobi founder to join him in his next venture called Wylei where I would take on the role as the technical co-founder. As the technical co-founder of Wylei, I worked with my fellow founding team members to successfully navigate several pivots, reaching product/market fit with our patented predictive content solution for email. Using technologies such as NodeJS, AWS and MongoDB, I personally built the core of what is our main product that serves customers such as: Marriott, Adidas, Dell, La Quinta, Unilever and Hershey. Now in 2017, Wylei is entering the next phase of the company, transitioning from start-up to scale-up mode. 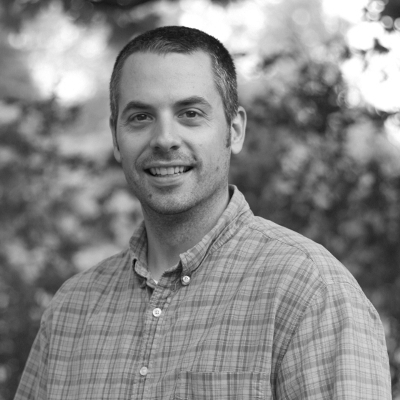 And Has Warm Feelings For: PHP, Python, MySQL, MSSQL, ElasticSearch & various other web tech. 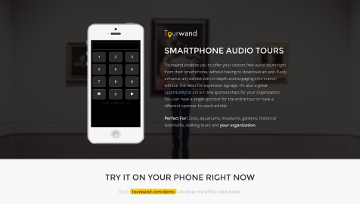 Tourwand is a mobile web app that allows organization to raise money through new sponsorships while providing their visitors with an enhanced tour experience during their visit. iKickboxer is the heavy bag workout app that's the next best thing to being in a kickboxing class. Workout with coach lead heavy bag routines at home. 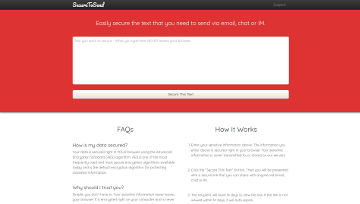 Secure To Send makes sending encrypted text via email, chat or IM as easy as sharing a link. The first HTML5 game platform that provided hosting, leaderboard, badges and social for HTML5 game developers. Acquired by appMobi in 2011 and rolled into their larger platform. Do you need help with an idea or project you are working on? Using devices like the Particle Photon, Espruino and Raspberry Pi, I'm building software that interacts with the physical world to control devices and process sensor data. I've been involved with HTML5 game development since 2010 and today with the arrival of engines like Phaser and Construct 3, it has become even easier to quickly develop great HTML5 games that play well on any device. Chatbots are a powerful new communication tool that connects with your users in the apps they already use. You see it with Alexa, Google Home, Slack and Facebook Messenger, Chatbots (text and voice) are the next step in user interaction. Overtime your data gets fragmented and stale. I have helped organizations de-dupe, augment, clean, classify, find patterns and learn from the data that they already have. These days, Machine Learning is everywhere and proving useful. I have lead the development of real-time machine learning systems that handle traffic from some the largest brands and I can help you add ML into your product. There are many reasons why you might use web scraping. To monitor your competition, populate sales leads or gather and re-purpose data from your own site/store without involving the IT department. And the list goes on. Throughout my career I have helped businesses connect with 3rd party APIs, setup communications between disparate internal systems as well as save time by automating manual tasks. In Western New York, we're slowly shaking off our rusty past and have a lot of exciting things going on in the area of startups and entrepreneurship. Through the various things I'm doing here, I hope to earn the right to be a tiny part of the story of our transformation.